This week marked a significant milestone for my blog. This may not seem like much of a big deal to some, but to me it is pretty grand! Remember when I told you about how nervous I was to start this blog in the first place? And I was wondering if anyone would even like my space here? 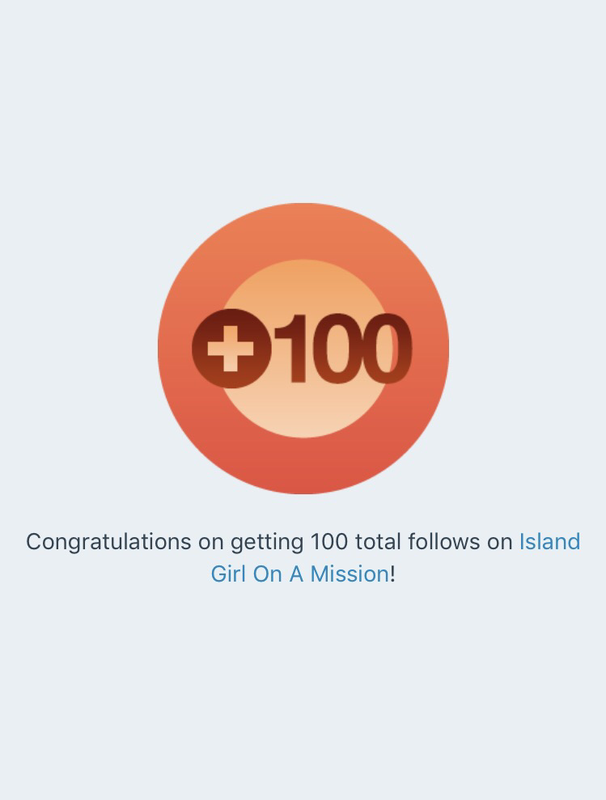 Well 1 month in, I’m happy to say that it has been a really inspiring experience being here with you all, and I want you to celebrate with me because Island Girl now has a strong following of 100!!! Yayyyy!! !.Pop the bubbly, play some soca and take a wine!!! Hahah! Thank you guys for being here. The majority of you I don’t even know but everyone of you are so special to our space here on Island Girl. Your thoughts and contributions to this blog makes it such a wonderful place to be and encourages me to keep writing. Stay with me because we’re in for a lovely time. Stay with me as we welcome another 100 soon. Plus we make a great team! Lots of Love, Light and Kisses. Previous postCareer Choices: Thinking Outside of the Box. Next postGrowing and Glowing: Igniting the Spark Within. Ahhh who doesn’t like a good celebration? Congrats Lyndel!!! Congrats hunny !! So proud of you , and Super happy for you ! !